The days of having photos or videos as direct proof to a given happening are long gone. With the new Face2Face software application, it is now possible to make someone appear to speak out what you want in real time. This is a new discovery that has been made by a team of experts coming from Stanford, University of Erlangen-Nuremberg and the Max Planck Institute of Informatics. The face tracking technology comes in a time when authorities are finding ways to incorporate the changing technology into the law, something that might prove to be a huge hurdle for them with such trends. 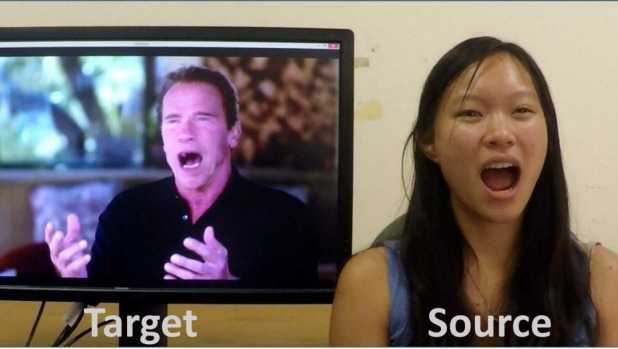 The team behind this technology demonstrated how the software works using short videos which appear to make use of the abilities of a common webcam. The subjects in the videos include current Republican presidential hopeful Donald Trump, former President George W. Bush and current Russian President Vladimir Putin. The software was able to match each and every detail perfectly, something that turns the subject in the video into a puppet of the actor. Using the Face2Face software, you can perfectly capture the real-time movements of the actor and place them seamlessly on the subject on the video. In addition, you will be sure of a perfect match thanks to the fact that software also promises to capture real-time facial expressions such as winking and so on. As mentioned at the beginning, video and photo documentation have long been used as the real proof towards the occurrence of a given event. Even though something like face2face was meant to come at some point, the idea of getting to the real-time state was not this close. However, now that it is here, it might just change the way most people, including authorities, perceive video documentation.